With the PlayStation Portable continuing to make it’s mark in the portable gaming arena, it’s fairly easy to overlook it’s value as an educational tool. Enter Connected Education, a Sony U.K. agency tasked with promoting the educational benefits of utilizing Sony products with innovative techniques to enrich learning experiences in the classroom. 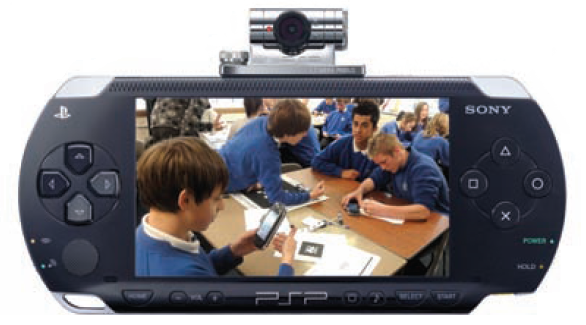 Making use of the PSP’s USB camera, Connected Education’s Second Sight software enables the PSP to recognize “sema codes”, tiny bar code-like images with embedded URL’s. Taking advantage of the PSP’s multimedia capabilities, these sema codes trigger the launch of media related to the material at hand, including audio, video, and 3D augmented images. Whether educational applications of this tech will have the type of impact proponents hope for is still up for debate, but the real issue here is if we’ll see any of this implemented into future games. Probably not anytime soon, but at least we’ll sleep well knowing today’s youth have unprecedented access to the next generation in pop-up books. Check it out below!